The two performances by Anthony Hewitt www.anthonyhewitt.co.uk of classical piano music with contemporary dance from students at Royal Manor Arts College and masterclass for young people is one of 26 recitals that form part of an epic cycle ride from the 9th to 29th May from Lands End to John O’Groats. 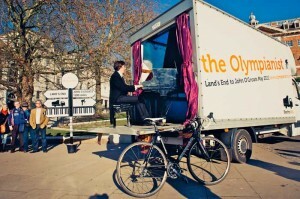 Anthony will be accompanied on his ride by a piano on a van! (the BeethoVAN) to bring music into the heart of communities and inspire young people. 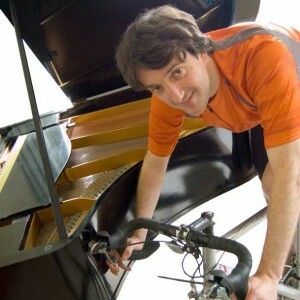 Throughout the 1,200 miles Anthony’s recitals are in support of charities that are involved in: music education and therapies; music making for disadvantaged children in developing countries; young people with cancer; participation in sport for disabled children and young people, and support for young people with Autism and Asperger’s syndrome. Selected pieces from the BethoVAN Programme below will be performed alongside contemporary dance. 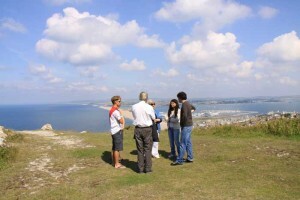 3.30pm – Performance on clifftop overlooking Chesil Beach with contemporary dance from students of the Royal Manor Arts College. Masterclass for young pianists. 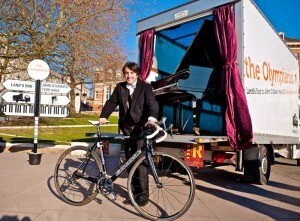 5.00pm – Anthony starts the long ride to Newbury!! 5.15pm – For those who want to stay on there will be an Interpretation Walk of Tout Quarry Sculpture Park – where Art & Environment meet. Parking – Tout Quarry at Tradecroft entrance. New Ground behind Heights Hotel, Portland. If you need to arrange Disabled Access to Tout Quarry by vehicle for the event, please contact us.